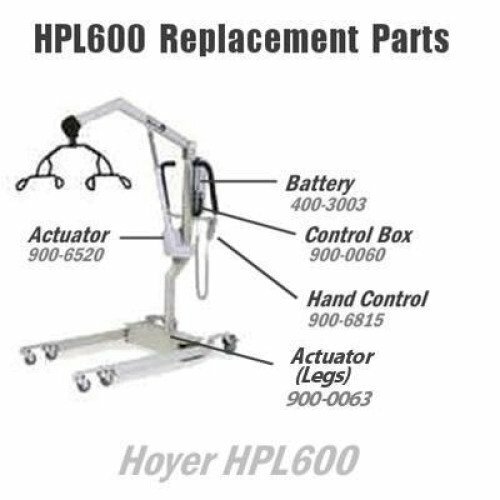 Refer to drawing for available replacement parts for the Hoyer HPL600 Patient Lift. Digital Scale includes a new cradle assembly for mounting the scale. Digital Scale accurately weighs up to 440-lbs.